This is not your average toy robot. The Iron Man MK50 is the first-ever humanoid robot inspired by the Marvel Cinematic Universe. It pairs advanced robotics with augmented reality (AR). 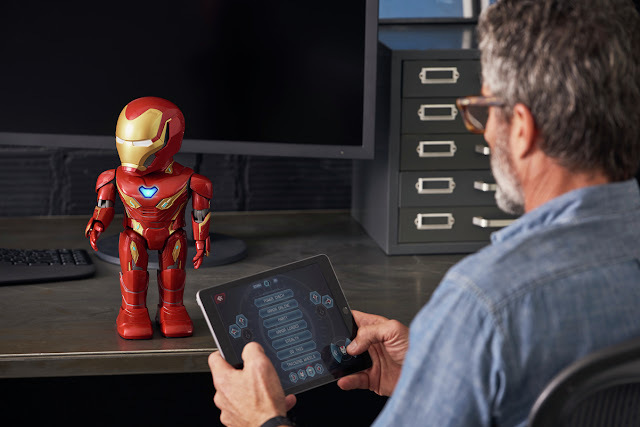 Built by UBTECH, Iron Man MK50 brings Tony Stark to life. With the help of your mobile app, this advanced robot allows you to create, code, and battle in Iron Man’s world. You control its movements, lights, and sounds using a mobile device. 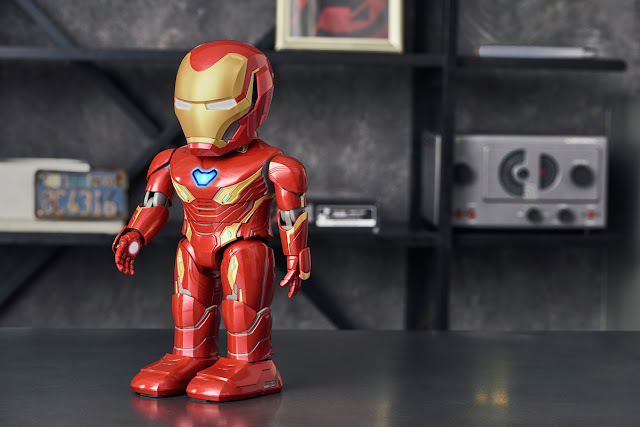 The Iron Man MK50 Robot is your very own portal into the events after Marvel’s Avengers: Infinity War and leading up to Marvel’s Avengers: Endgame! This is truly the most unique super hero experience ever available. 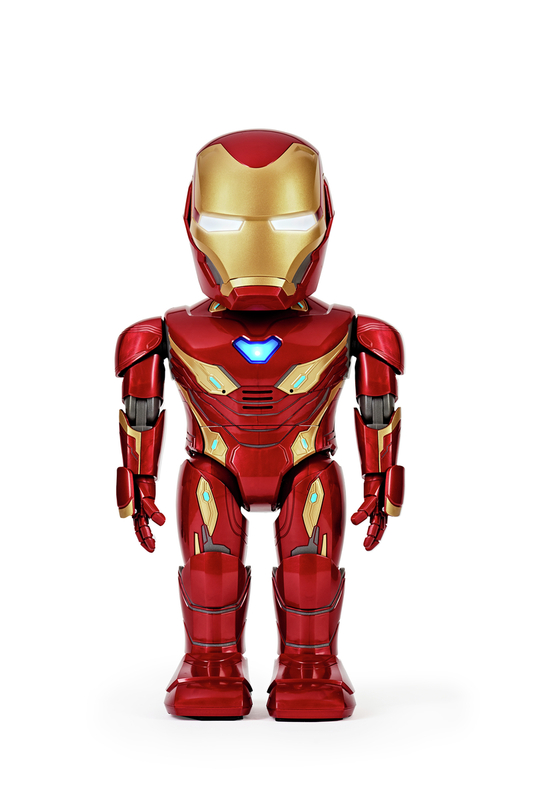 Iron Man MK50 works with iOS devices running 10.0 or higher and Android devices at 7.0 or higher. All you need to do is download the app and you become Iron Man! The experience features missions and battle skill training. The question is... are you prepared to face Iron Man's powerful enemies? 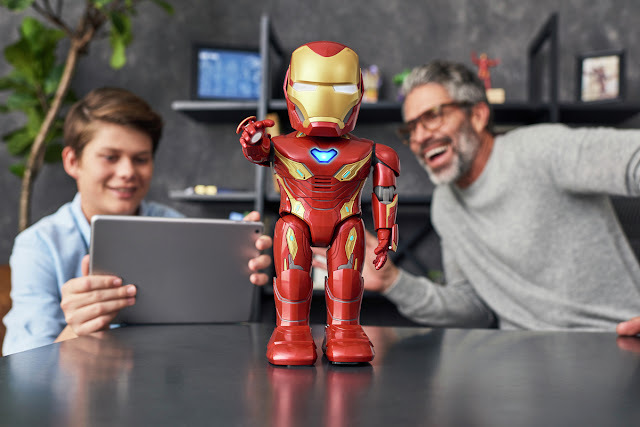 Iron Man MK50 robot’s ability to control its movements, lights, and sounds using a mobile device; complete augmented reality missions; customize the robot’s face with your own; and code original, custom action sequences to personalize your own robot. This is so awesome! My son would flip over this! My son saw it and is now haunting me to buy it for his birthday! This is one kids and parents are both going to want.